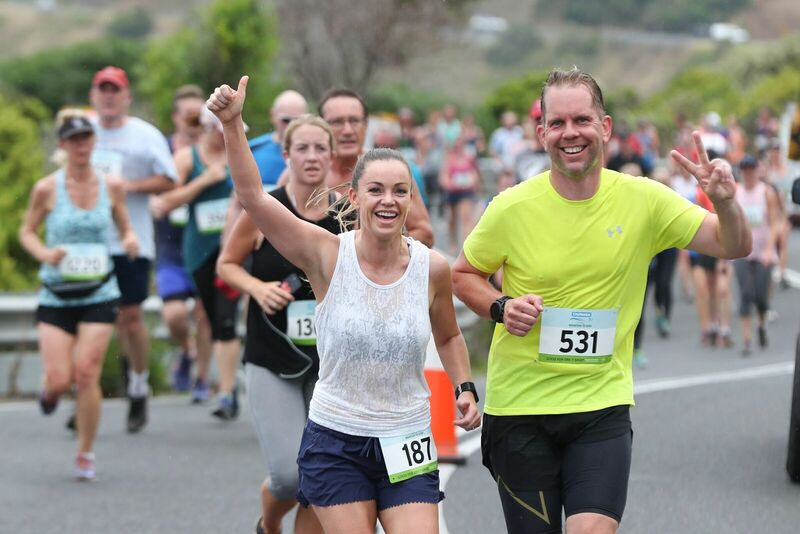 The following race information and training schedule was created to assist runners in preparing for the Mountain to Surf event in Lorne. Peter Rau has been involved in athletics for more than 20 years as a competitor and coach. He has been a Geelong Cross Country Club Champion, and has competed in five Otway Classics, an event that is billed as the toughest foot race in the world. Competing and completing the Mountain to Surf is a challenging and rewarding experience. For those that decide to take part your trip will take you through beautiful native forests, alongside cool flowing rivers, with a final stretch along the Great Ocean Road and magnificent ocean views. For those of you that have competed in the event before you will be aware that I have left out one important component. Hills. And this event contains an excellent example of the big variety. The first monster occurs not long after the start and some further undulations spring up prior to midway. With many people entering the event, I will divide my advice to competitors into two divisions, the Finisher and the Racer Pacer. Your goal is to go the distance with time not being a concern. You would like to be able to walk up right, unaided in the next few days, be relatively pain free, and brag about your accomplishment to friends and work colleagues. You should attempt three sessions per week which will be a combination of walking and jogging and they should last for between 30 and 40 minutes. If you have hills in your area try to incorporate them at least once a week. Cross training is good with a swim and/or bike to supplement training. You may or may not have a target time in mind but you like a challenge. You have a good running background and complete at least 4-5 runs per week. You handle varied levels of intensity and your current program will include fast, hills, tempo, and longer runs. As with the ‘Finisher’ you may wish to brag as well however you will talk of times rather than survival. As it is a morning race it is best if you have a good dinner and a very light breakfast. Do not fall into the trap of eating too close to the event. I always allow between three and four hours for digestion. The weather in Lorne at this time of year may be hot and so it’s imperative that you pre-hydrate, and it’s recommended that you take on water during the race. If the day is cool you will still need to take fluids prior to the event to help prevent excessive fatigue. After completing the event you will need to rehydrate with sport drinks/water (try to leave the alcoholic drinks to the evening). The best rule for hydration and rehydration is this: Drink more than you possibly think you can get down. It’s still probably not enough. Never stop abruptly on the course. Always move to the side when you need to tie a shoe or take a drink. Don’t stop moving after you’ve crossed the finish line and keep moving to the end of the chute. Stay in the order in which you finished Good luck in your preparations and enjoy the event.